For questions please contact event chairs: Bhavya Sharma or David Jenkins. 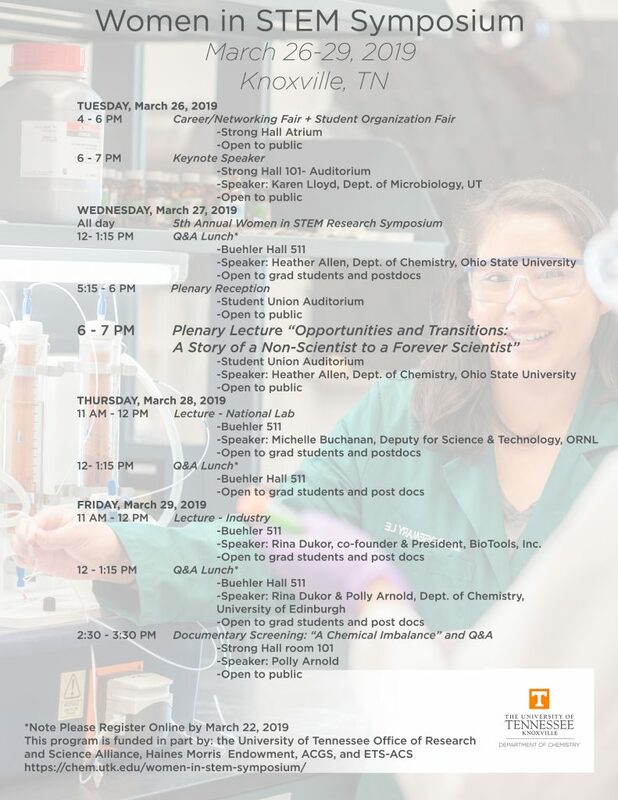 Additional activities will be hosted by Pipeline Vols for Women in STEM for the 5th annual Women in STEM Research Symposium. For more information please refer to this link.